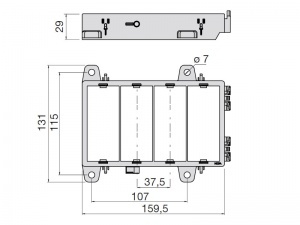 Housing that accepts any 4 modules from the MTA modular fuse and relay system. 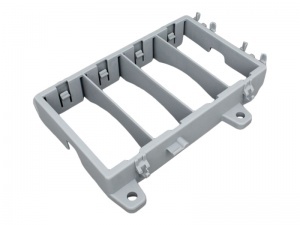 The modules snap into place by sliding them up into the housing from below and can easily be removed by pressing the latching tabs outwards with a suitable tool. Cable entry is from beneath the housing through a suitable panel cut-out. 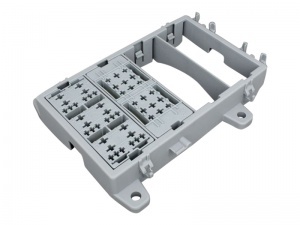 The module for 6x Maxi Blade Fuses should be installed in the end bays of the housing as there are cut-outs to enable 90º cable entry to the power connection stud. Optional cover available to protect installed modules from moisture and accidental damage (product code P01310).